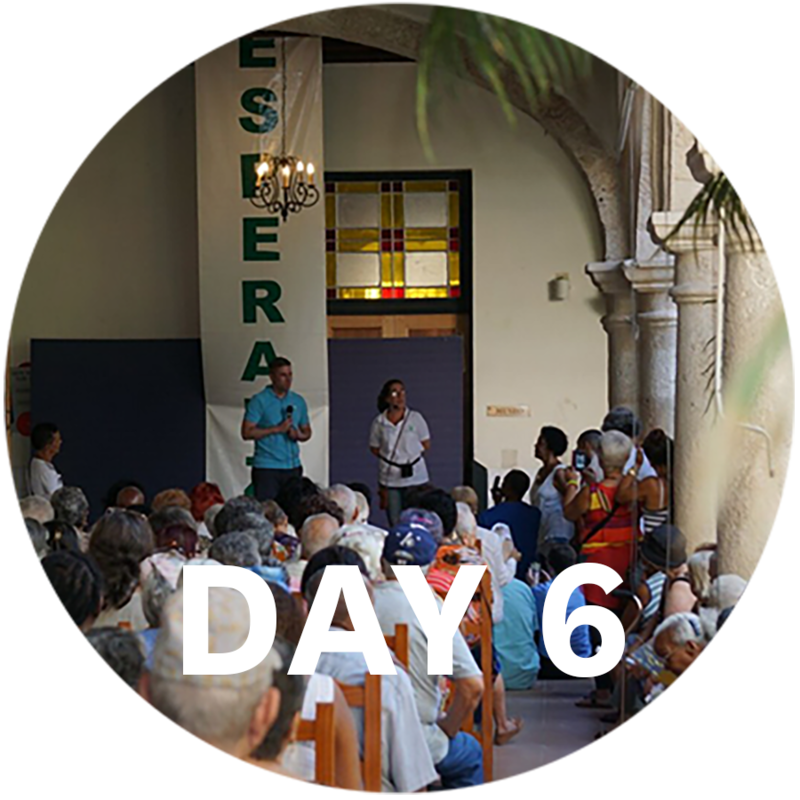 By Tuesday we had had some intense experiences and were grateful for a day that was mostly educational. At this point, the Chorus had sung so many formal and informal concerts; they were ready to let their voices rest. We left our hotel at 8:30 am to travel to Las Terrazas, a rural experience of a sustainable development project in a mountain area located within the Sierra del Rosario biosphere reserve in a newly named province of Artemisa (created when they split the greater Havana area into a new set of provinces). The area’s history is fascinating. Once serving as a coffee plantation, it was decimated after the fall of the Soviet Union took out much-needed resources. 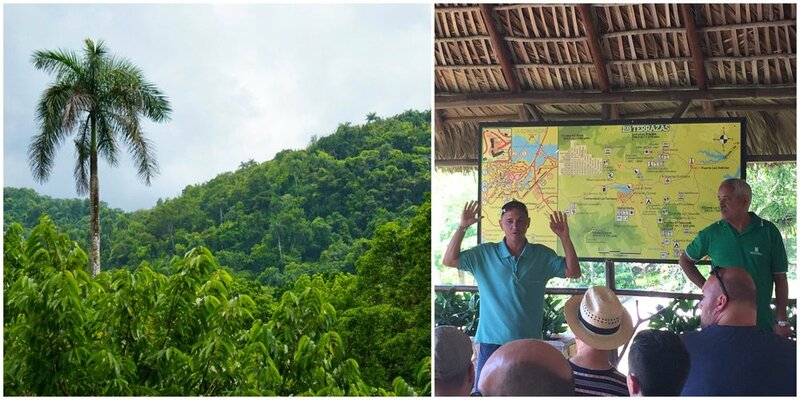 The Las Terrazas Community Project was developed to restore the area while providing jobs, and creating a new industry of “eco-tourism” for that part of Cuba. UNESCO named it a world heritage site in 1985 in acknowledgement of the success of the effort. We started our day with a presentation on the reserve and its importance as an economic driver for the region. What an exquisite and lush landscape, and what a contrast to Havana! After a brief bus trip through the reserve, we were fortunate enough to be able to take a brief swim in a sulfur water area. Crossing the footbridge, we got a chance to see why this was a popular eco-tourist hot spot. 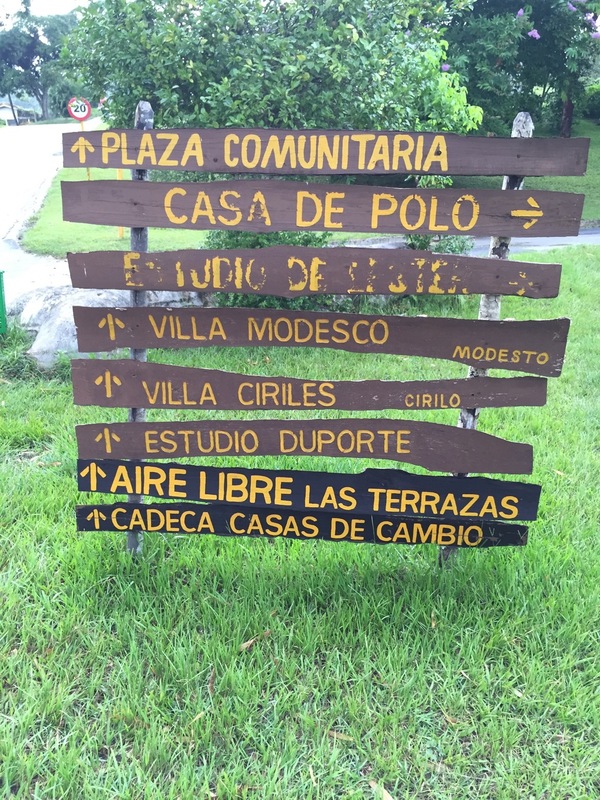 From a hotel nestled into the trees to smaller and more primitive huts, visitors to the area could swim, zip line or go hiking. Farm animals were raised in nearby houses to provide food for residents and tourists alike. It was stunning! 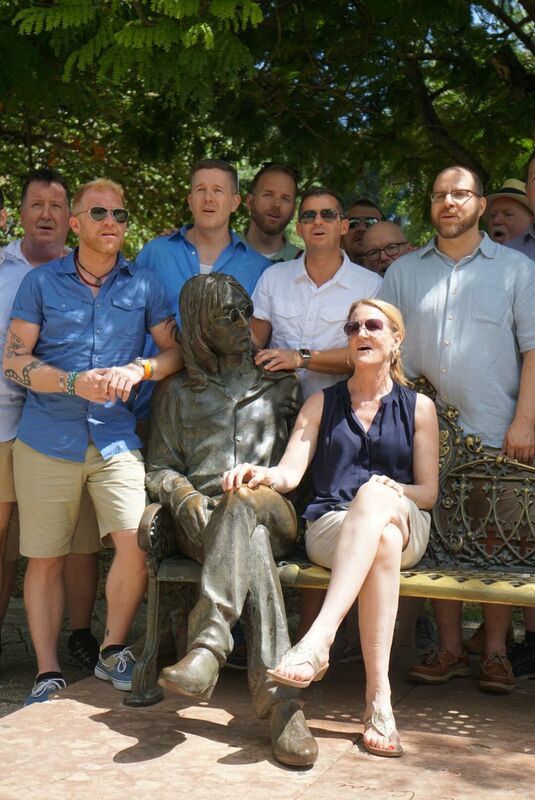 It turns out that the Gay Men’s Chorus wouldn’t get a complete break, as they gave a mini-concert from a tree-tophutto those swimming with us. After lunch, we visited an area near the old coffee plantation and took in a studio of a local landscape artist. 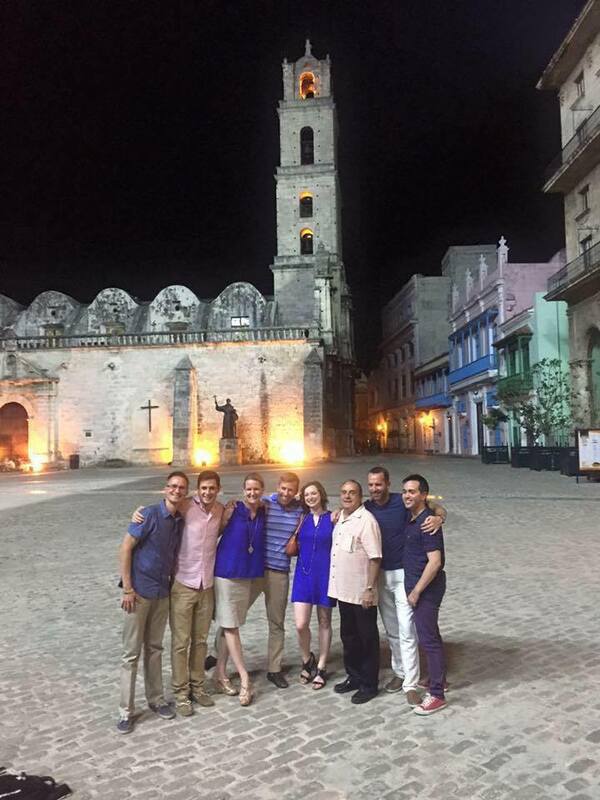 All in all, it was a nice diversion to what had been some deep thinking about Cuba-US relations the days before. 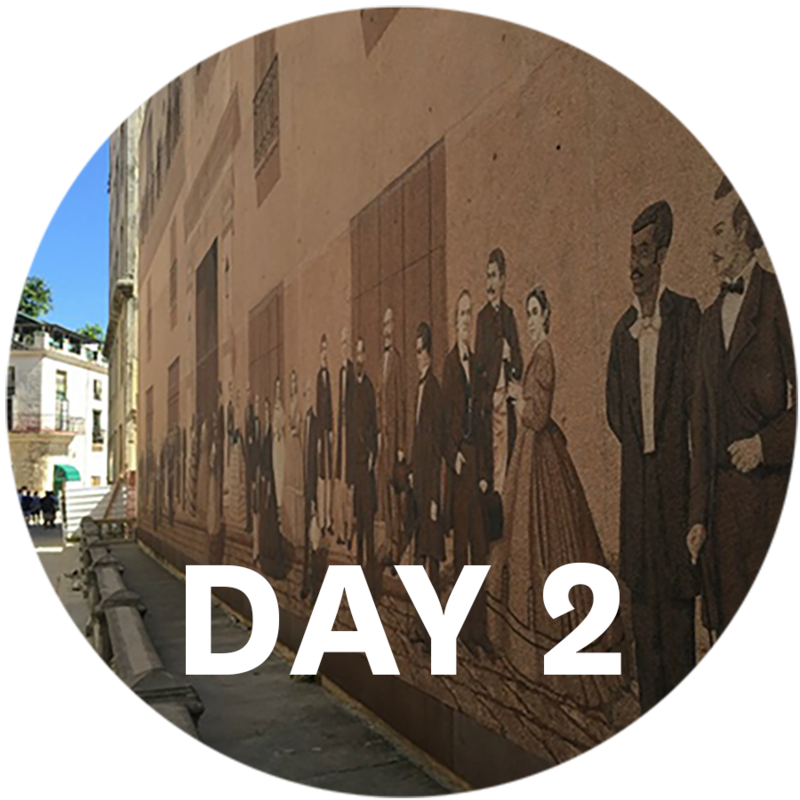 We had several African American delegates on our trip, and it created an atmosphere of some confusion. Some in our delegation left the restaurant for the hotel. 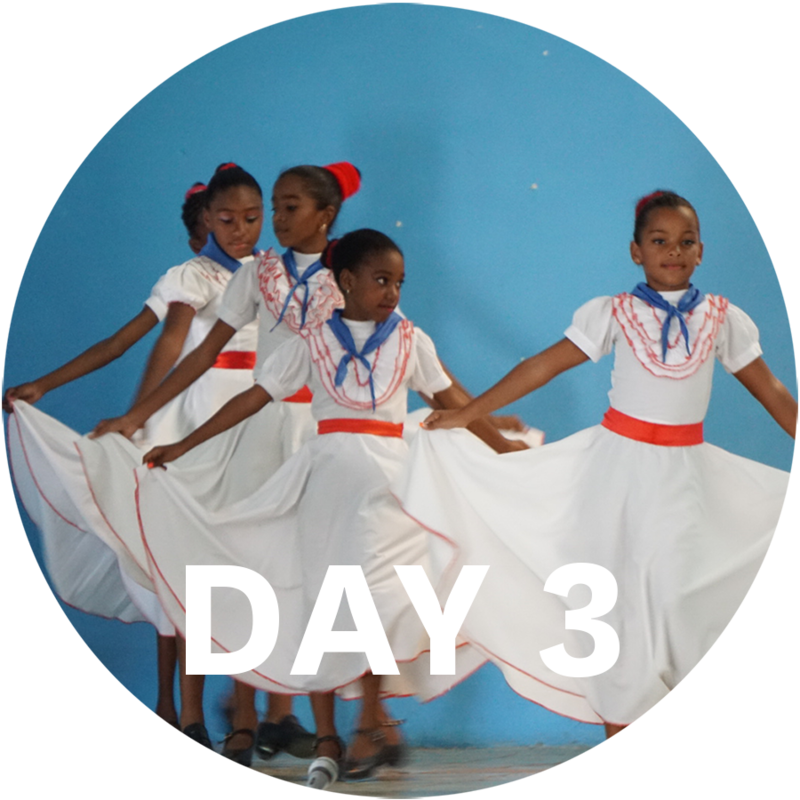 The next day we were able to discuss with our Cuban guides the history of this type of performance in their country and to learn about some very different connotations. This gave us a chance to talk about YFU’s training called “Colored Glasses,” where we talk to exchange students about seeing a culture not through our own lens but of that of the host country being visited. I was proud of the dialogue and reminded that exchange is challenging even when the two nations don’t have as difficult a past as Cuba and the US. This would not be the first or the last of the culture shock on our trip! Nature is never so far gone that something beautiful cannot emerge from the ashes. Interpreting culture is never easy. We bring so much of our own history and experiences into our travels. It’s not easy but so vital to try to see a people through their own lens as much as we do through that of our own. This is why YFU exists! 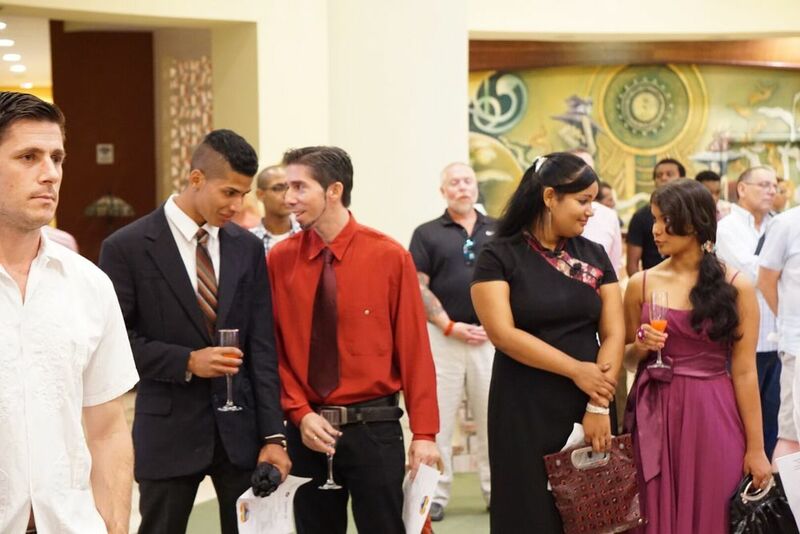 We tell all YFU students that there is an arch to their exchange experience, with the first days being the “honeymoon” period. You spend so much time planning for and thinking about an exchange experience that you almost can’t believe you’re actually in your destination country. That was certainly my experience on our first full day in Cuba. 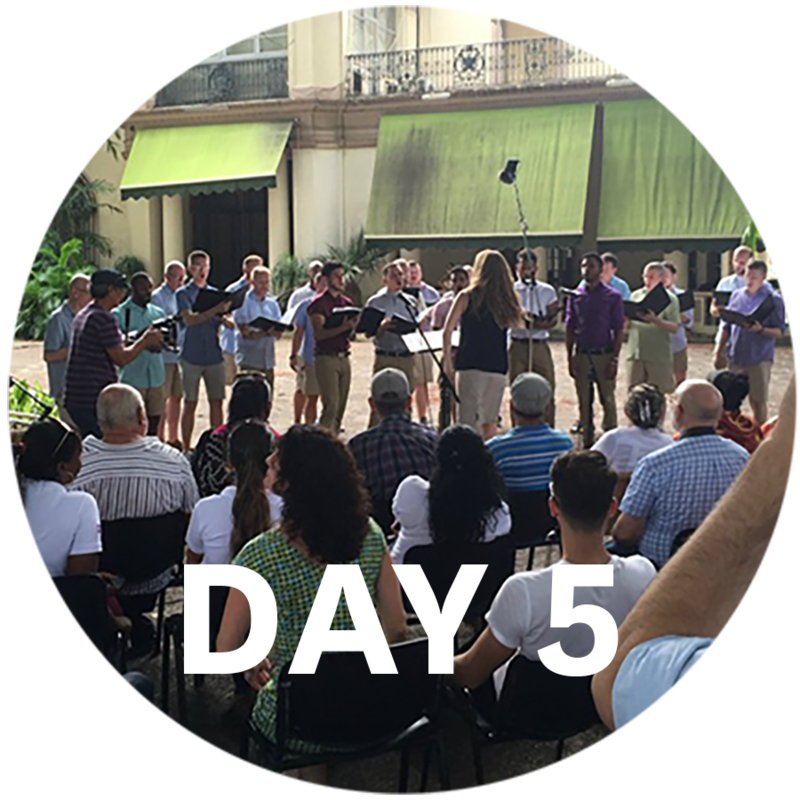 We started our very balmy morning with a tour of “Old Havana,” the historic center of the city first built up during the period of colonization from Spain. UNESCO declared this area of town a World Heritage site in 1982, and it was easy to see the reasons. 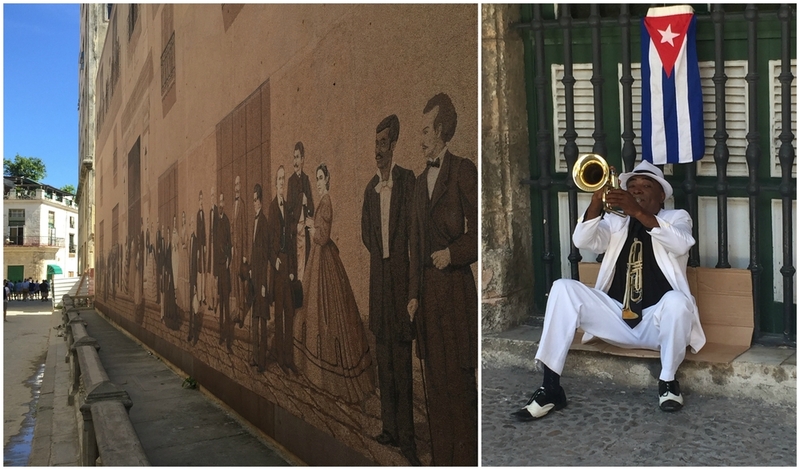 The architectural landscape of Old Havana is a case study in extremes. Recent efforts had some of the historic structures brought back to life while others looked as if one slight touch of a hand could topple them down. The City Historian’s office has been spearheading a building-by-building renovation of the historic structures. 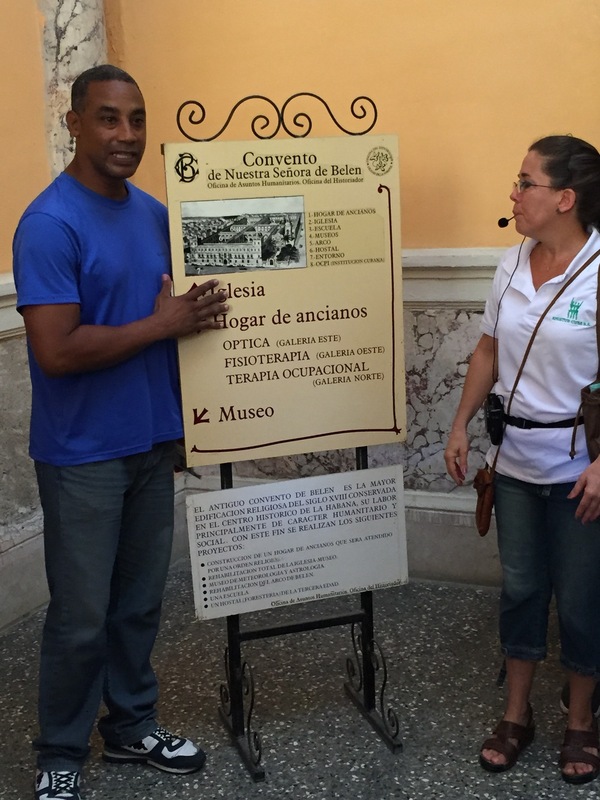 This was also the first moment that the Cuban Revolution and its history struck me. 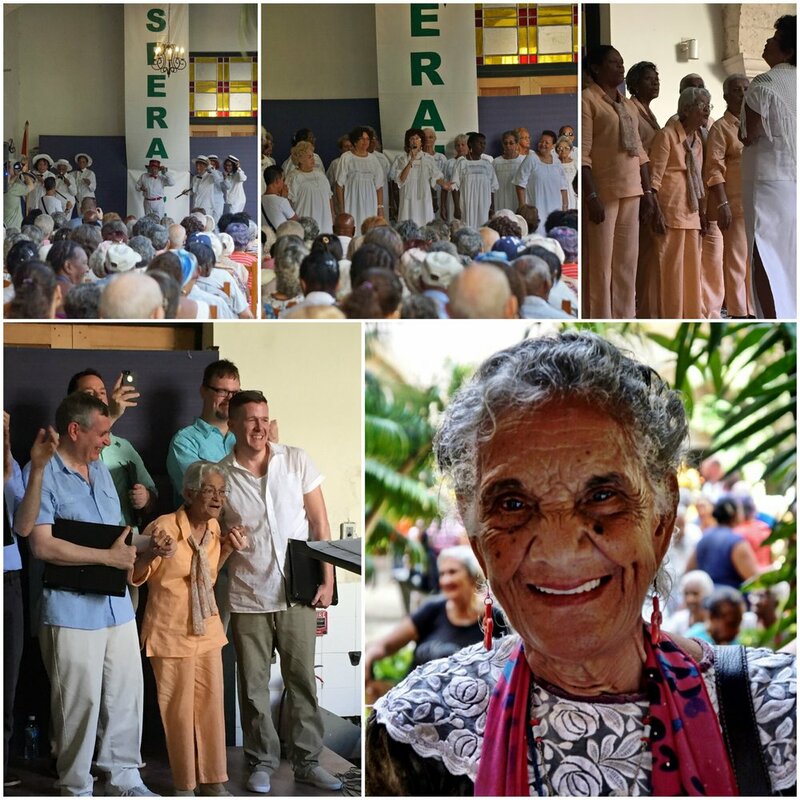 We were told by our incredible guide, Elisio, that a famous visual artist had struck a deal with the early Castro government to spend her own money to renovate a major mansion as long as she could live in it until her death. This was the only deal struck, as we were told, it went against the ideals of the Revolution. 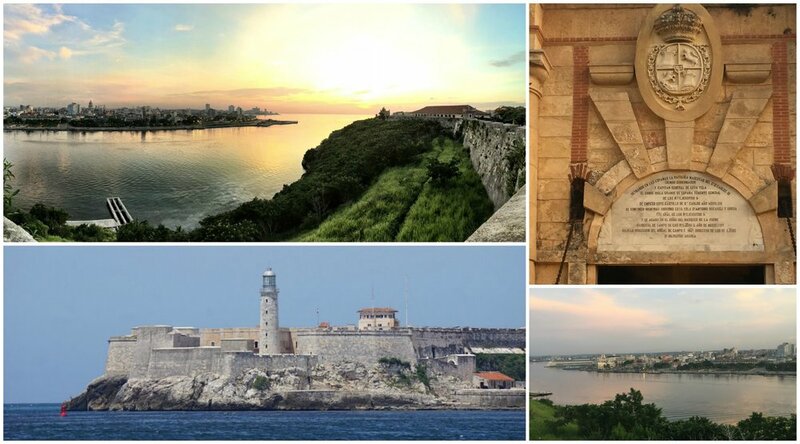 Old Havana, in many ways, encapsulated a history of this nation: from colonization of the Spanish and British to the period when Fulgencio Batista first served as the elected president of Cuba and later held it as a dictator until the Cuban Revolution. You could see the triumphs and the scars etched into the buildings, with each facade telling some part of the story of this remarkable nation. 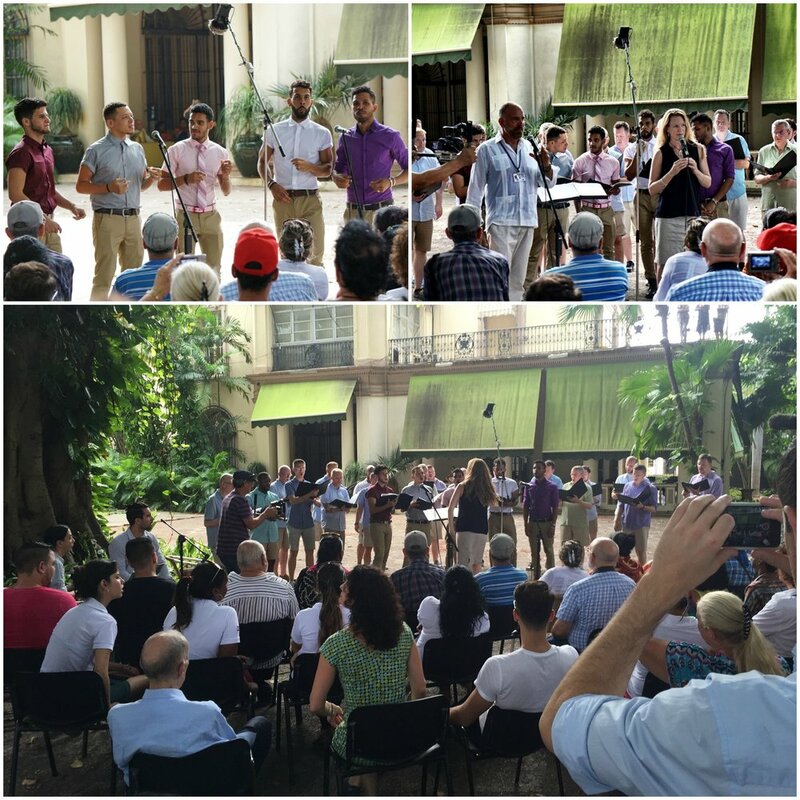 After lunch, we traveled by bus en route to Casa de La Amistad (House of Friendship), where we would present the Gay Men’s Chorus of Washington, DC for their first concert. 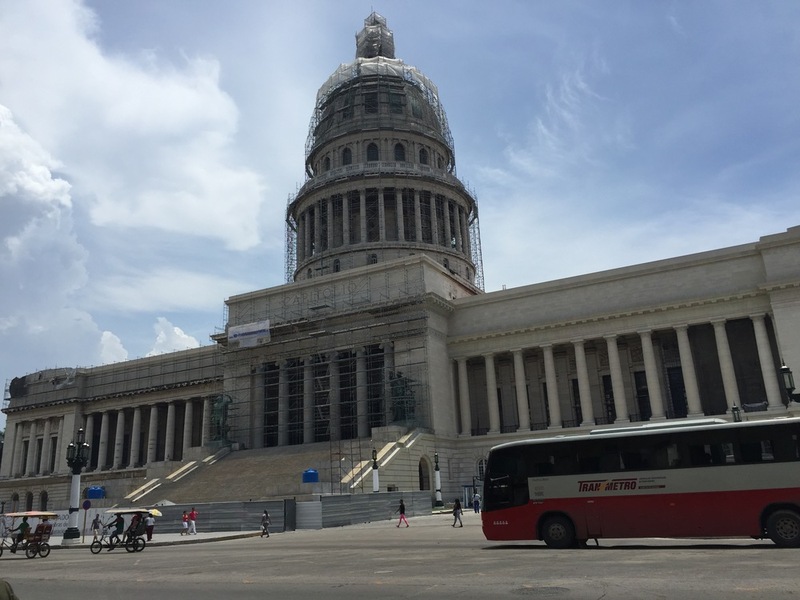 On our way over, we stopped at one of the Cuban Revolution’s most signature monuments in Revolution Square. The equivalent of our Washington Monument, the square is dominated by a tribute to Jose Marti, a poet and journalist who is seen by many as the “Founding Father” of Cuba. 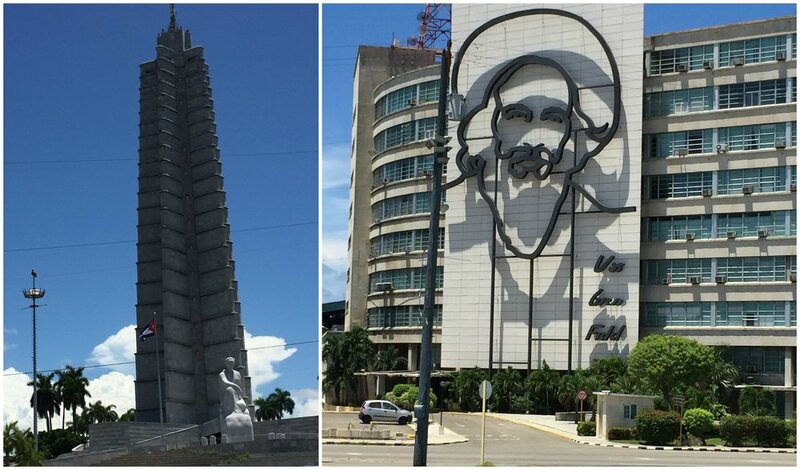 Opposite to that monument is Cuba’s Ministry of Defense, which is emblazoned with the image of Camilo Cienfuegos. 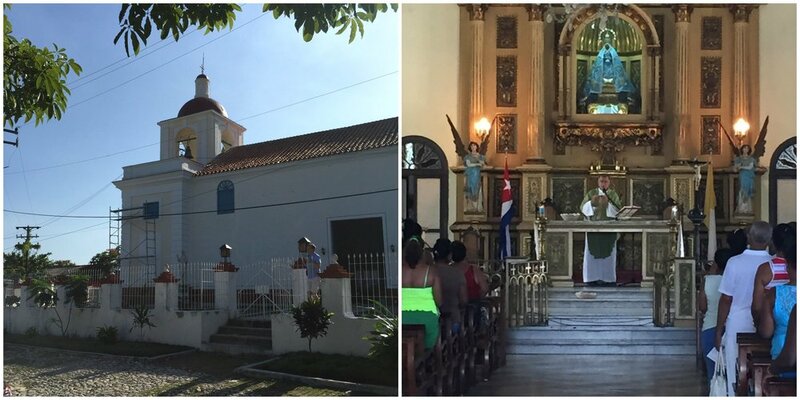 Although he officially stepped down as Cuban President in 2008, Castro is omnipresent in Cuba. 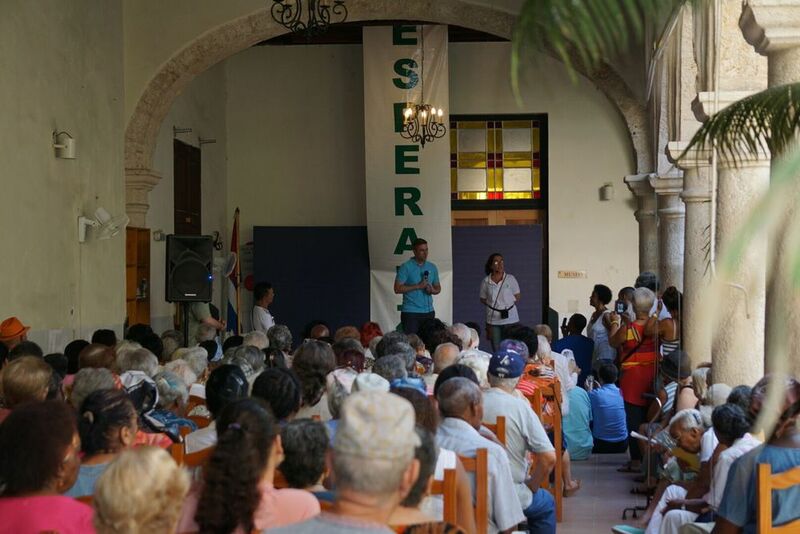 Speeches refer to him as simply “Fidel,” with a messiah-like connotation. 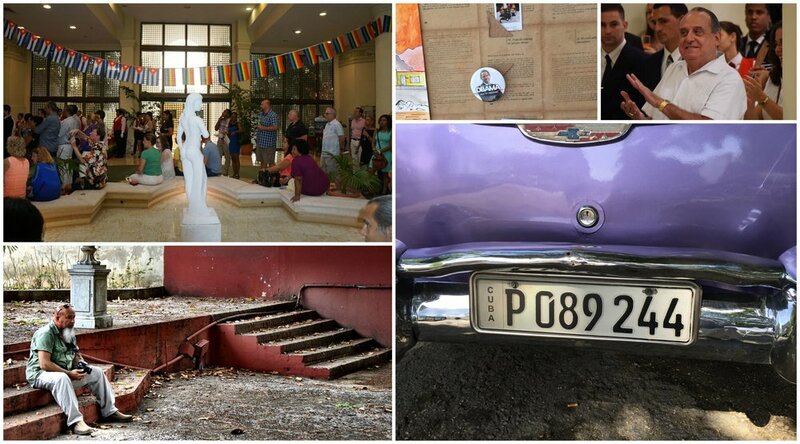 Everyday Cubans we got a chance to speak to believe nothing significant will change in Cuba until after his death. It was a stark reminder of the impact – for better or for worse – that one human being can have on a society. I found it chilling. The story of Case de La Amistad is one of love and scandal. For our delegation that day, it was only the former. 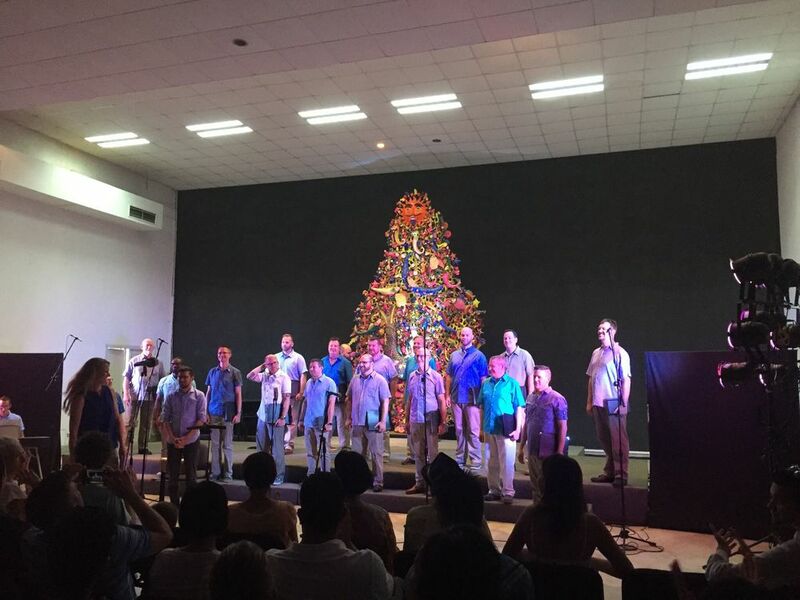 There we shared a concert with Mariana de Gonitch Chorus, a group of young Cuban artists who had prepared an entire set for us in English. I had a chance to address the crowd, talking about the importance of this trip at this moment in history. 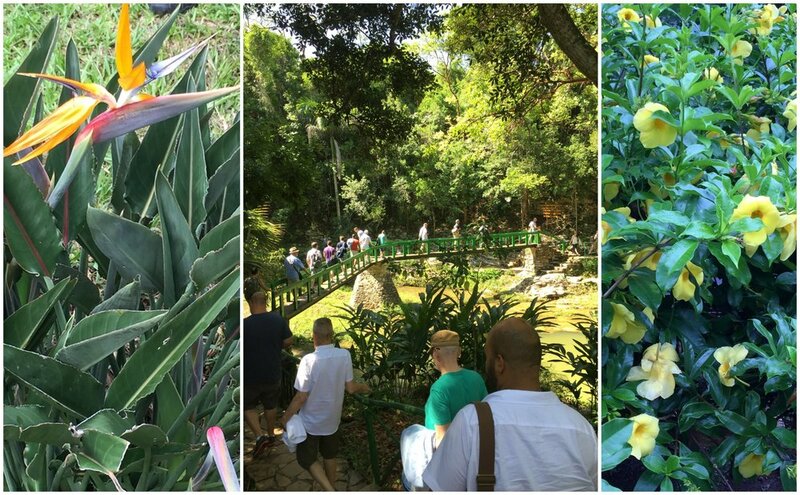 Throughout the trip, we had a profound sense of the importance of being in Cuba in this specific week: one week before the normalization of diplomatic relations. It would play significantly in our experience. The Mariana de Gonitch Chorus immediately blew us away with their talent and warmth, no more so than when they broke into song with our US National Anthem immediately following a performance of their own. Tears rolled down our delegations’ face, as we knew that singing the US anthem would have been unheard of in year’s past. Throughout the next two hours, we shared songs of our respective countries and ended up singing “We Are the World.” One couldn’t help but wonder if the promise of the lyrics would hold true for the relationship between our two nations after so many years of division. 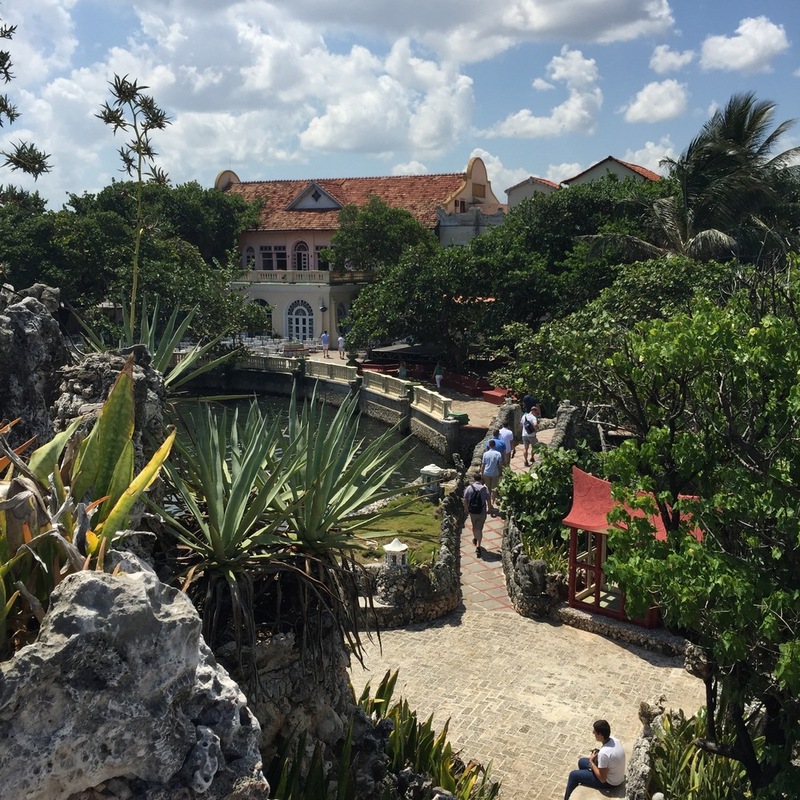 We tell YFU students that they should take advantage of a country’s iconic culture when visiting. 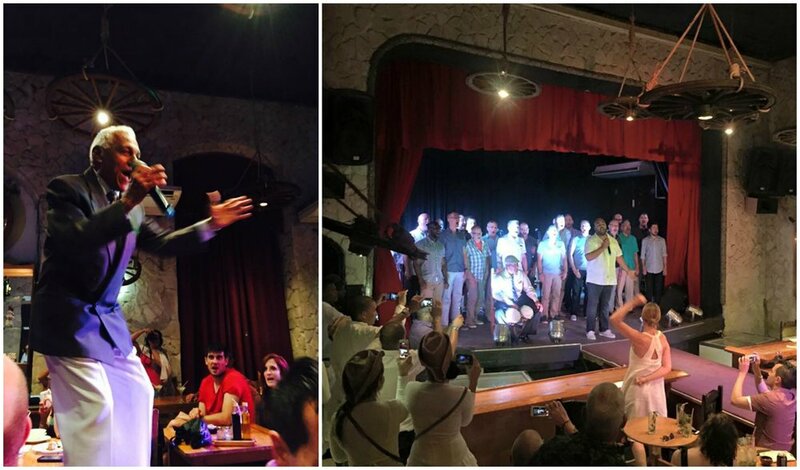 Later that night we concluded our day with a performance by the Buena Vista Social Club at El Tablao de Pancho restaurant. 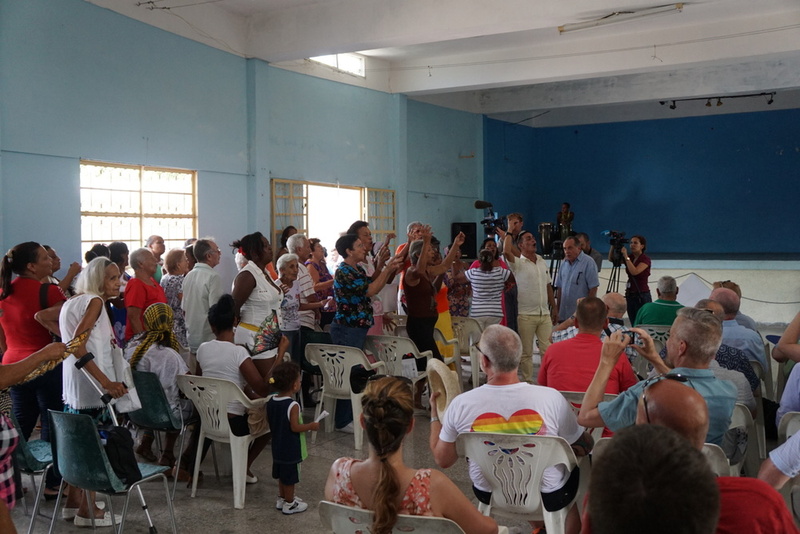 Many of the lead singers of the group have been performing with it since before the Cuban Revolution. I couldn’t help but imagine what they had seen over the past 50 years and what they would hope to see as our two nations tried to find a way back together. We were even invited to share the stage with them. It is said that art, in its many forms, is the quickest way to the truth. 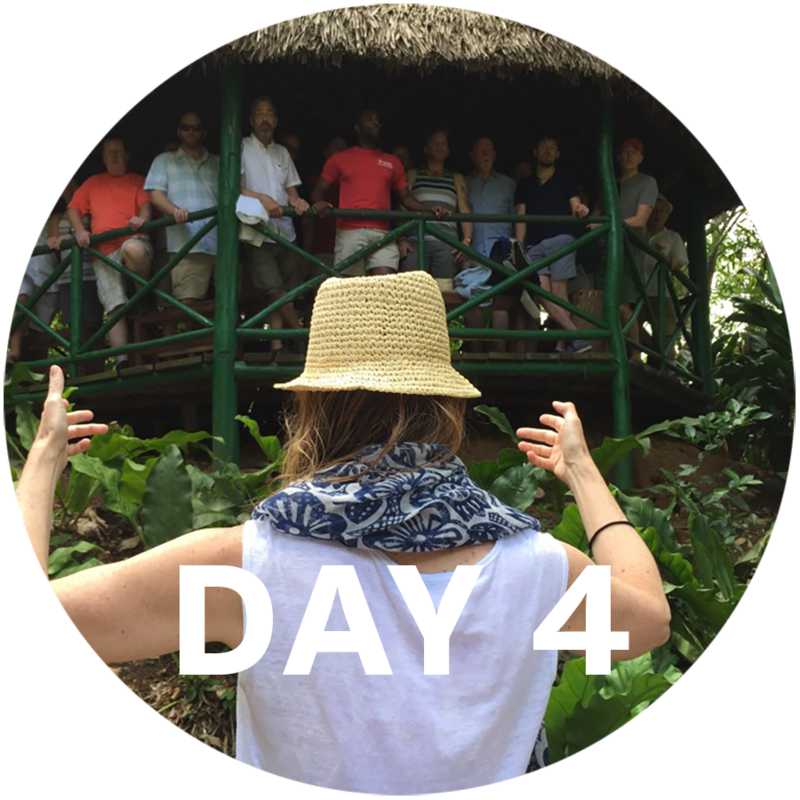 I ended Day 2 wondering what further truths I would find by sharing our music, our struggles and our stories. Architecture can be one of the most objective storytellers in a country. Battles and triumphs often find a way to etch themselves into buildings in a society. One person has the potential – for better or worse – to forever alter the lives of thousands. Language barriers are surmountable when we share culture from the heart. It’s amazing what hearing one’s own national anthem sung by another people can do to erase feelings of isolation and division. Art and artists are sometimes the best ambassadors. Sharing culture through song, even if you don’t understand the meaning of the lyrics, finds a way to stretch out a hand to another human being. 90 miles. As a former resident of western New York state, I would drive 90 miles regularly to get from my home in Olean to Buffalo to fly out of the airport or to take in a show. That amount of mileage for anyone who has ever lived in a rural area is as common as being stuck on the Beltway for two hours in Washington, DC. 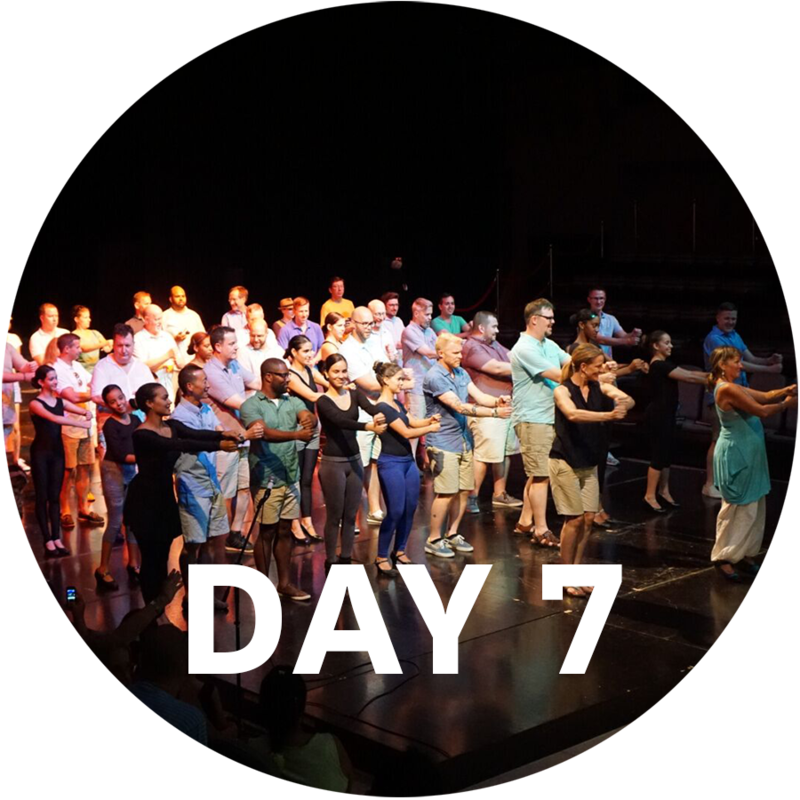 But 90 miles had a much larger significance for me as I woke up at Miami International Airport Hotel at 3 a.m. with 20-plus delegates from Youth For Understanding and the Gay Men’s Chorus of Washington, DC who were headed to Havana, Cuba – 90 miles away. 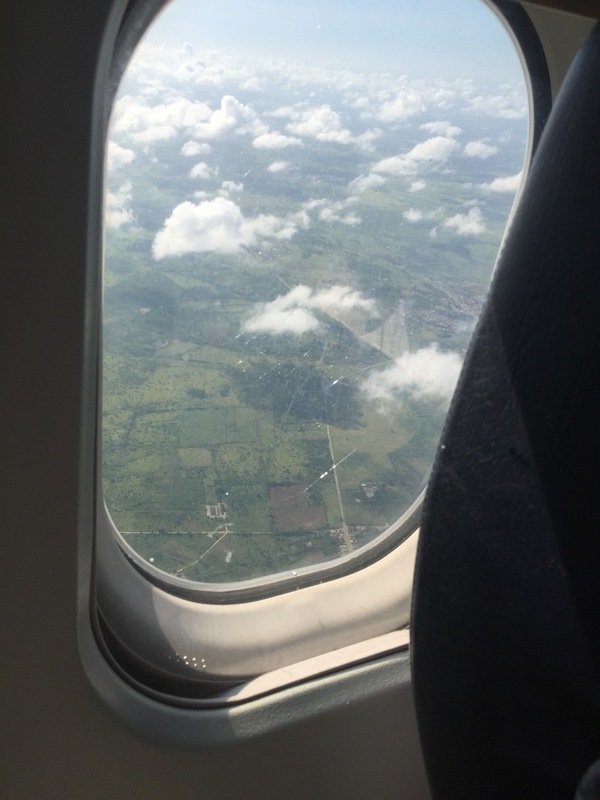 We would be in the air only about half an hour, far shorter than the four hours it took to get through all the paperwork and logistics of our charter flight to the capital city of Cuba. The first sign that this was not a normal airline trip came through the many hours of prepping to simply board the plane. 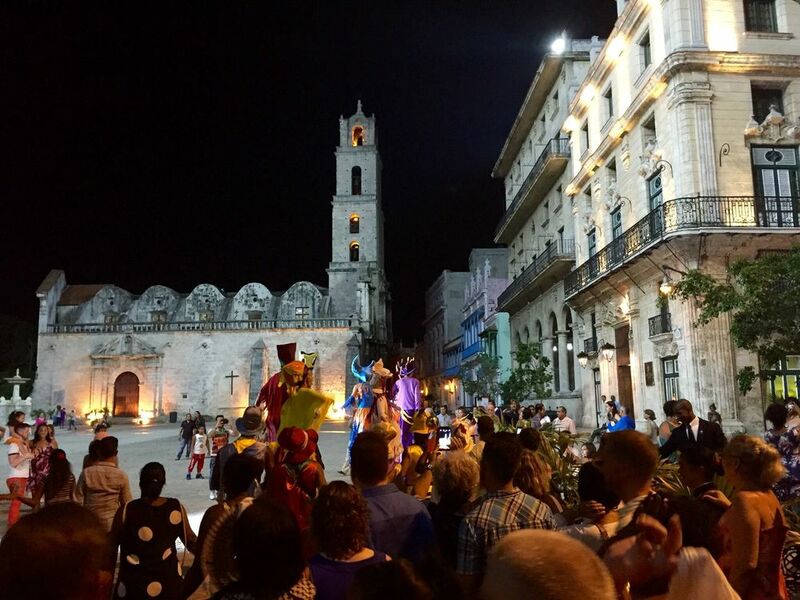 While some travel restrictions have been lifted, you can still only take charter flights to Cuba from the United States. It gave a sense of anticipation to the beginning of our journey, and, if I’m being honest, heightened my expectation for what I might see when I arrived. For more than 50 years, the US embargo of Cuba had created an invisible fence between two neighbors. I couldn’t help but wonder what existed on the other side of a policy-created wall and whether it would live up to the reporting we see in the United States media. The guys from the Chorus decided to whittle away some of the time by singing an impromptu performance at the airport. Their roles as musical ambassadors had already begun. I had the great luxury of sitting with Dr. Thea Kano, GMCW’s Artistic Director, on the plane ride over. YFU and GMCW share a common element to our missions: both organizations believe that when we open up our hearts and minds to the “other,” something transformative can happen. 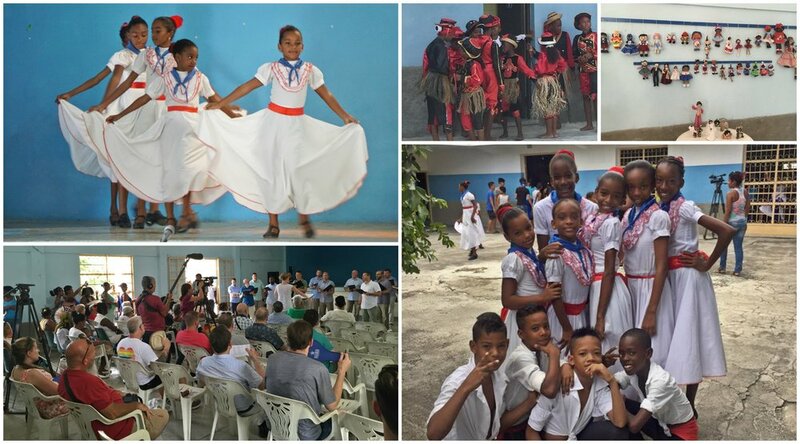 For YFU, this trip wasn’t a political statement: it was a chance to live deeply our mission: bringing people who did not understand one another closer together. I have seen the impact of people to people exchanges so many times at YFU. 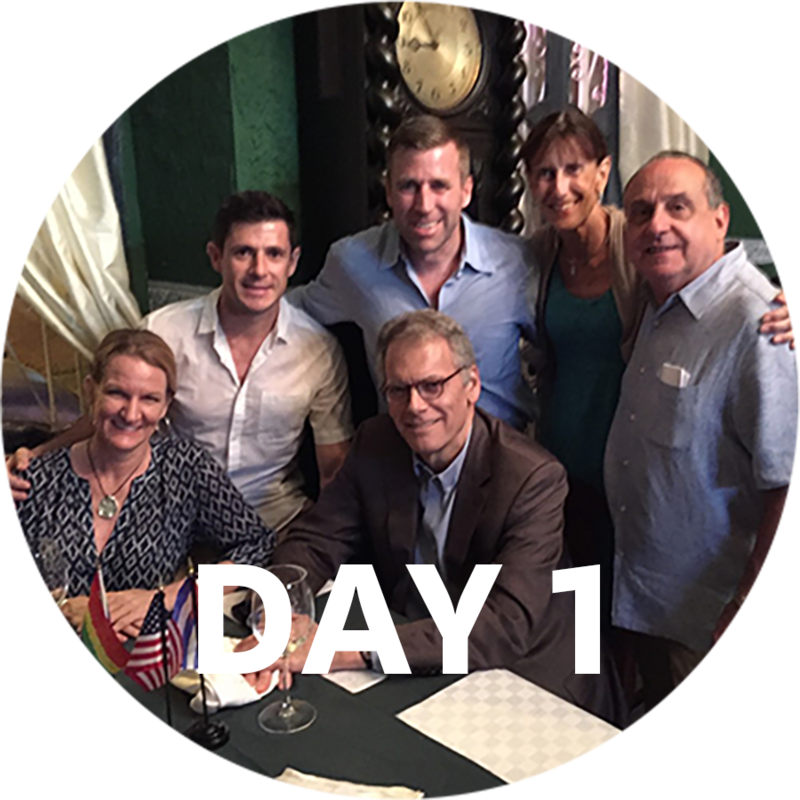 This trip had the potential to really move the needle for those that participated. We had been planning this trip together for months. To sit on the plane at this moment was somewhat surreal. About a half hour in, Cuba came into focus through our plane window. Landing in Havana was an experience in contrasts. To look out our window on the tarmac and to see an American Airlines plane, reminded me that much of the rest of the world has no restrictions on coming to Cuba. To have a jet titled “American” smacked of irony. 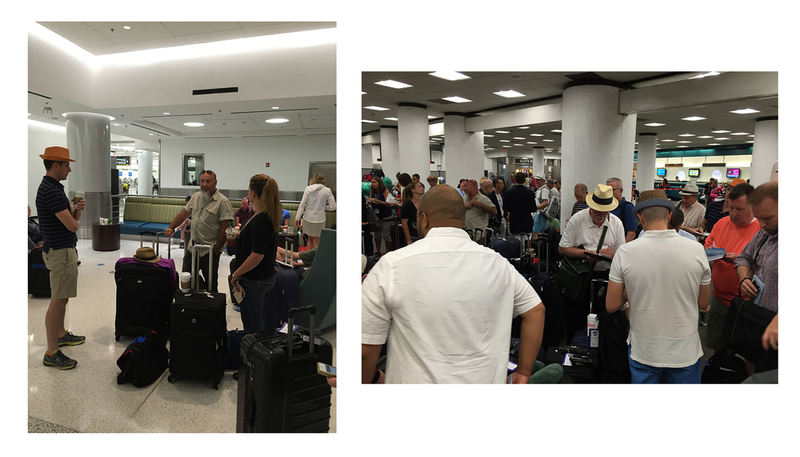 Getting our bags reminded me of the impact of the embargo and the recent loosening of restrictions. Mixed among our bags were medical supplies, wheelchairs and electronics, all neatly wrapped in plastic blue bubbles. Alex Lopez, YFU’s Travel Director and a native Cuban, was the architect of our trip. I would later come to realize the profound role Alex has played over 40 years in trying to bring the Cuban and US people together. He greeted us at the airport and got us settled into buses for the ride to the hotel, where we were supposed to receive an arrival orientation. It was a lot of fun to travel in the shoes of exchange students who go through a similar journey: pre-departure and arrival orientations, all administered through folks at YFU. We were living a sliver of their experience. We would stop at a park and for lunch before getting to the hotel. 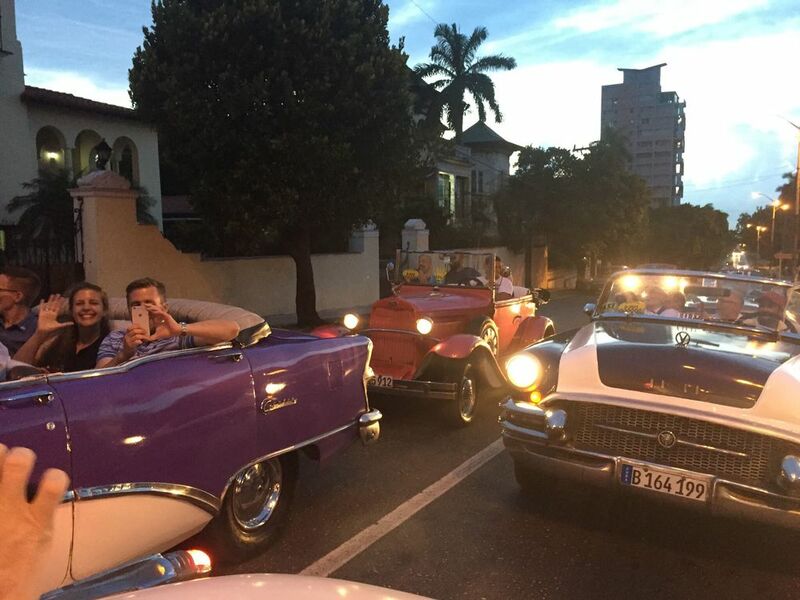 So much of Cuba is trapped in a time warp. The park, full of children and a few adults, were playing tug to loud, thumping music and seemed more than a little curious about two busloads of Americans who had invaded their summer-time fun. It was, in effect, a cultural “stare off.” Two peoples who have been kept apart for so long. And here we were. What else would the trip hold? We had lunch at El Tocororo Restaurant, housed in a former mansion in the Miramar section of the city. 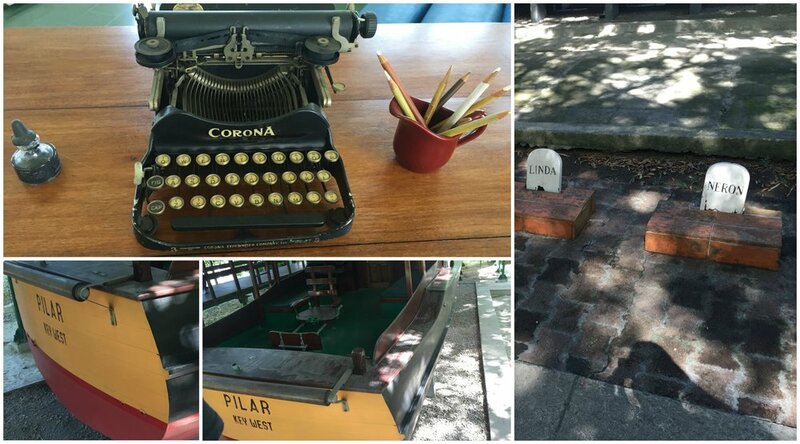 An eclectic space, it has been frequented by artists, writers and other cultural leaders. The walls were adorned with corkboards ascribed with the names of famous guests. We were invited to add our delegation to the wall, drawing our shared symbol of the merger of both of our flags with the rainbow/pride heart. It would be nice to think our presence will be a part of the place for a while. As I mentioned in my previous blog, we were greeted at the hotel by both the United States and Pride flags. 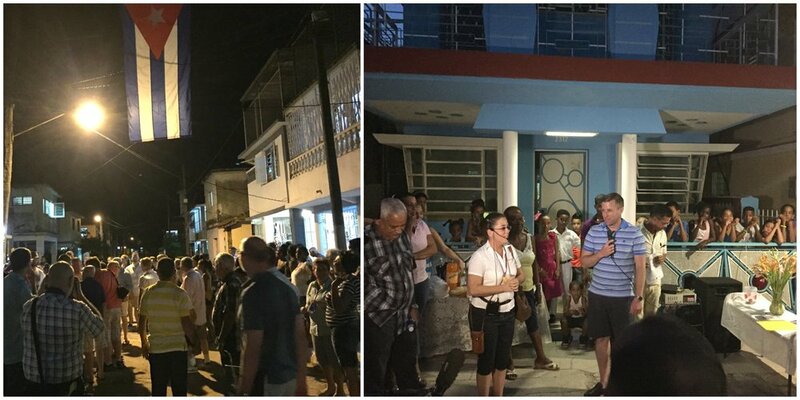 The hotels are government-run in Cuba, which made the gesture seem that much bigger. Later in the evening we headed to Paladar La California for dinner. 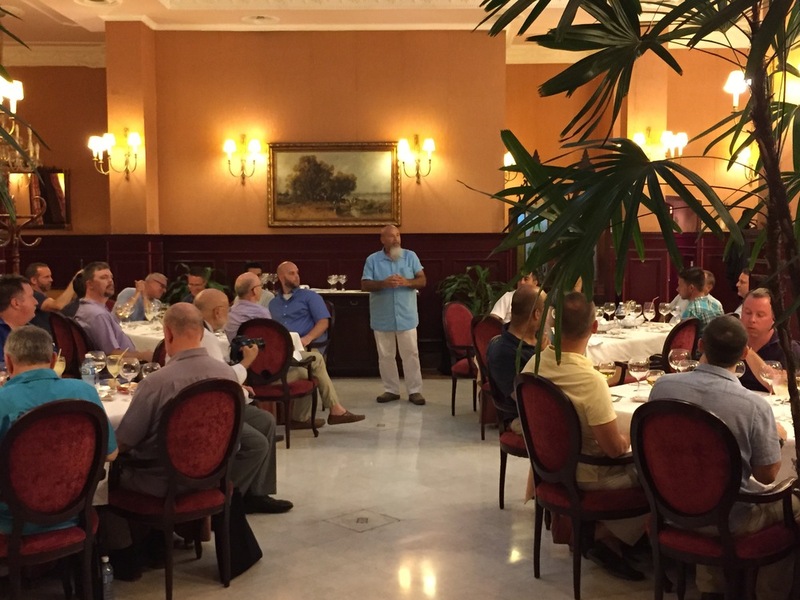 The leaders of our delegation were privileged to share an intimate dinner with Ambassador Jeffrey DeLaurentis, the Charge d’Affaires at the now US Embassy in Cuba (it was still the US Interests Section when we were there). It was fascinating to hear Ambassador DeLaurentis describe this time of transition in diplomatic relations. This was his third stint at Cuba. I asked him why he kept coming back (other than being assigned, of course! ), and he said he has always believed there was a way through the political standoff, and he wanted to be help if could. He seems cautiously hopeful. “Hope” would be a theme for our trip. 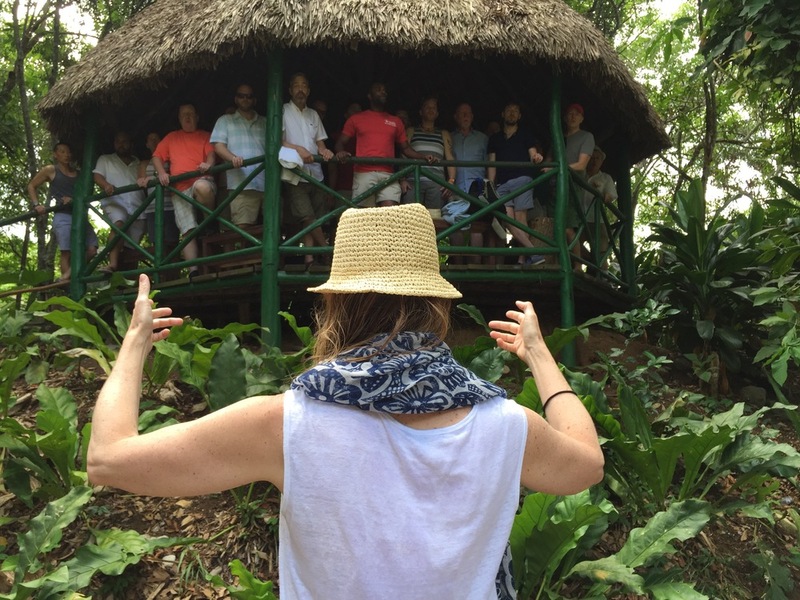 Would we actually “hear” one another on this trip? We weren’t sure, but the early clues of day one made me curious to find out. A short distance can be a huge hurdle when mistrust, stereotypes and a lack of real-life information stand in one’s way. The human need to help another cannot be embargoed. Watching medical supplies show up in the baggage claim reminded me that political policies have a truly human impact. The joy of children playing tug in the summer knows no international boundaries. If we can find a way to capture that innocence and curiosity of “the other,” we have a shot at deeper understanding. If there is a hope, there is a chance at peace.